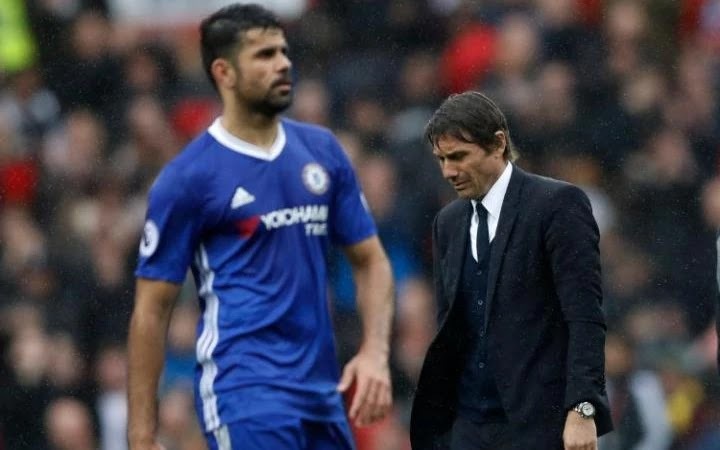 Diego Costa, spanish striker, who has been banished by Chelsea football club, has opened a legal case against the club over his pending exit from Stamford Bridge. Last week, it was reported that the striker's legal representative Ricardo Cardoso threatened to utilise "all possible legal mechanisms" against Chelsea and submit a formal transfer request in response to what he referred to as the "discriminatory behaviour" of head coach Antonio Conte for delaying his potential return to his former club, Atletico Madrid. According to Sportsmail, the legal proceedings against Chelsea have now started. Diego Costa who has made 89 appearances with 52 goals to show for since signing for Chelsea in 2014, accused Chelsea's head coach Antonio Conte of informing him that he was no longer wanted at the club via a text message during the summer.